If you're going stir crazy waiting for The Legend of Zelda: Breath of the Wild to launch along with the Nintendo Switch on March 3, 2017, then you should head on over to the Nintendo eShop on either your Nintendo 3DS or Wii U (yes, there are people with Wii U!) right away. The reason? 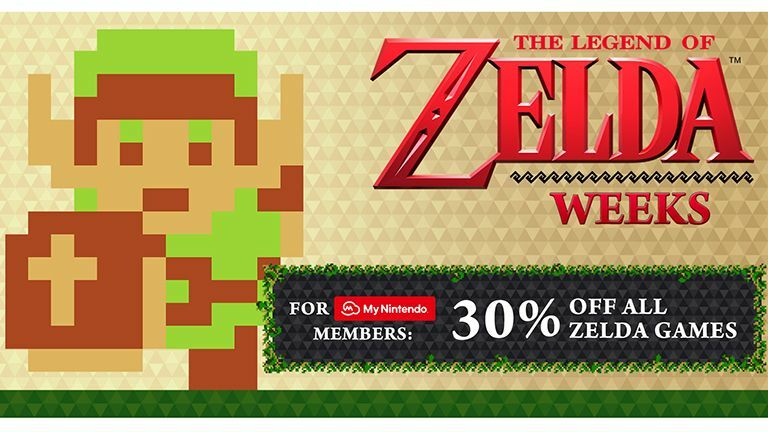 How about a tasty 30 per cent off a wide variety of The Legend of Zelda titles as part of Nintendo's recently launched The Legend of Zelda Weeks 2017 super sale. The sale, which is being held to celebrate Breath of the Wild's impending launch, allows any My Nintendo user to pick up titles such as Ocarina of Time, Majora's Mask, Skyward Sword, Twilight Princess and Wind Waker HD for significantly less. What's more, as well as some big fat game discounts, a plethora of Zelda themes and additional content is reduced too. So if you just need one more Zelda hit to sate your unquenchable thirst for The Legend of Zelda: Breath of the Wild then now could very well be the time to drop some cash. If you don't have a Nintendo Account then visit the Nintendo Account creation page to set one up free and get saving.